MADONNA and Guy Ritchie are putting the tin lid on their celebrity love affair by ending it in the text book fashion: they are divorcing. The Mirror seems unable and unwilling to believe money will not be a factor and mess up the divorce, telling readers of Madonna’s £300million fortune and Guy’s chance to grab £50million of it. The inference is that Madonna’s cash is not good enough for our Guy. 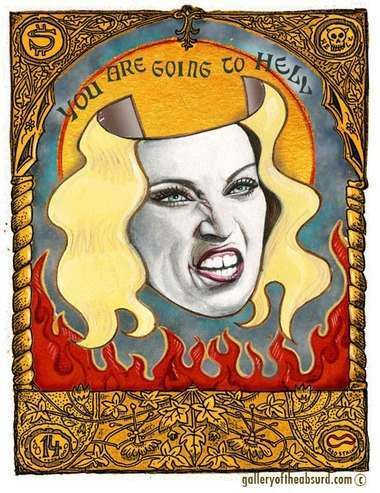 He has not declined Madonna’s money, which might not even have been offered – he has snubbed it. Anorak detects the whiff of nationalism in this story. If money is not to make it nasty, then let’s make it a fight between British sense of fair play and American brashness. English tea and spite beats American coke and confrontation hands down. While the Mirror then continues to maintain the falsehood that it broke the story of their divorce four months ago, the Sun hears Madonna say that Guy is “typical of emotionally-stunted British men”. These would be the same British men who spend the weekends singing songs in public about Victoria Beckham’s backside, crying on the X Factor or beating seven shades of the brown stuff out of another emotional cripple in the pub. If only we could emote. No-one who has seen Mr Madonna I, the American Sean Penn shooting people in the face can argue with that. How much of Madonna’s money should Guy Ritchie get?